Increasingly, firms are using their assets to borrow the money they need to protect and grow their businesses. They are turning to asset finance because many traditional financial institutions are turning down applications for loans, even for well-established companies. Asset financing is a great way to borrow money. However, some companies are holding back from borrowing in this way. 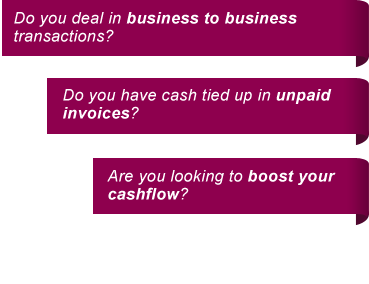 Many firms do not believe that they own anything they can borrow against, whilst others are not exploring this method of borrowing because they do not understand how it works. This is a shame, because most firms do in fact have assets they can use as collateral for loans. Asset borrowing is an extremely easy way to fund growth. Asset financing is easy to understand. Firms which borrow this way are simply releasing capital from their businesses. If a company owns an asset, they can use it as security against which to borrow. Importantly, firms can continue to use that asset as normal. If something goes wrong, and they are unable to pay off the loan, the asset the loan is secured against is sold with the proceeds of the sale going to pay off the loan. Most people understand that any property their business owns can be used as security for a loan. However, it is also possible to borrow against raw materials, machinery and plant, finished products and customer invoices. New ways to borrow against assets are being made available all of the time. Here we look briefly at two of them. Sometimes firms find themselves unable to close big deals and secure lucrative orders from large companies. This is because many large firms will not place orders with producers and suppliers that cannot prove that they are financially sound. They avoid this to reduce the risk of ordering a key product from a company that goes out of business before the order is complete. Fortunately, some asset lenders view confirmed orders from solvent buyers as tangible assets, and will lend against the value of the order. The idea is that the money lent brings a firm’s bank balance up to the point where they meet the criteria required. Many firms struggle to buy raw materials in bulk. They simply do not have enough funds to do so. Some asset financiers will buy these raw materials on a company’s behalf. The assets are owned by the financier; the lender is paid back as the company borrowing in this way uses the stock. It is an unusual, but useful form of asset financing.